I think I totally wasted today. I didn’t really do anything worth while. I was up late last night and ended up sleeping til 11 today to make up for it. Yes, I got up and got the kids off to school…but only one actually went. We were all tired! Good old Ben made it, in spite of his gumpiness. I’m sure his teacher loves it when he comes to school tired. I get notes every day so, I know he didn’t love it today. After the kid left, I went back to bed and snuggled up next to my kitty Carter. He is a dream….so sweet I could eat him up! He had been out all night cattin it up so, he was ready for a nice long nap. I can’t remember the last time I did laundry. Not that it has been THAT long, I just have a bad memory. Especially for unpleasant things. I tend to just block them out and move on. Thank goodness I have kids that are old enough to do their own laundry for the most part. Ben needs help now and then (always) but other than that they are self sufficient. As for me, I just buy new clothes when I run out. Don’t judge me, I call it retail therapy. Today as I walked through the store….I felt like I was a different person. Nothing spoke to me. Nothing made me promises of fantastic finished projects. Nothing shouted “I’d look great in your house!” It was like I was a stranger in a foreign land. I walked through the entire store and ended up leaving with an empty cart. I have been in a funk lately, but that was a bit weird. I am not one to analyze everything to death like some people I know, but I did have to think about how I was feeling. To go from feeling I was in a fairy wonderland to being in just another store full of junk….that is quite a swing. My mind kept going back to a story I am writing about a boy ‘coming of age’…. (but not like that.) “The impending nearness of his 18th birthday….” is how it starts. (I like the beginning quite a bit) I kind of feel an impending nearness of something. Whether it is a change in my personal life, my family life, the country or the world….I do not know. I just feel that the wind is starting to change. I no longer have the desire to spend my time and money on things that serve no purpose. (not that crafting doesn’t….hello, therapy!) It could be because my second child has turned 18 and I see the beginning of my income decrease…or it could be the cost of living I am finally noticing. Or it could be that I am getting old….heaven help me. Maybe it is because I really have everything I need and I am satisfied. After Brad died, I did a lot of shopping and arranging and moving and all those things I had wanted to do for such a long time. I was free to do whatever I wanted and I had a bit of money to do it. Now that I am where I wanted to be…what do I do? Whenever we moved in the past, I have instantly tried to sink roots and build a permanent place for our family. Brad was more interested in moving onward and upward through his career. Either that or he got bored. 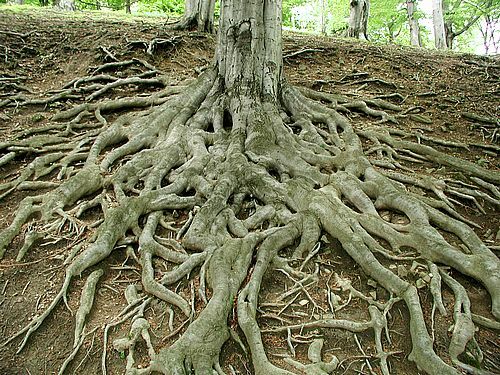 Either way, I was constantly ripping up those young roots and transplanting them somewhere new. Now that it is just me, I see no reason why I would ever move. I have sunk my roots in a physical way, but my heart and soul are still blowing about in the breeze. The one way I forgot to sink roots was in making friends. Being a single mom takes up a whole lot more time than married with kids. Not only that, but it puts me in a whole different social bracket at church. I also have older kids so I don’t have the benefit of play groups or preschool mom hang outs. I’ve had to learn how to make friends all over again. It seems the way to make friends is to do lunch and pray. Both have begun to work for me. I also have tried to open my eyes and see that I do actually have friends, I just need to put in some effort to make them better. This might mean a lot of lunch dates and morning walks, but I think I’m up for the challenge. Especially if the lunches include sushi….cause I said so. This entry was posted in Beckie and tagged crafts, direction, retail therapy, roots. Bookmark the permalink.